If you need advice or support right now please contact one of the organisations below. If you’re already using MACS services you can also talk to your worker about any concerns you have – here are some useful phone numbers. If you’re not getting support from MACS, visit what we do to find out how we can help you. Mental health charity working exclusively for those with depression and bipolar disorder. Need to talk? Whether you’re feeling stressed, anxious, lonely or down — ChildLine counsellors help lots of young people with all sorts of things, like bullying, problems at home and self-harm. Whatever it is, they can help. Child-focused and child-friendly legal advice/information for children/young people and their parents/carers and representation service for children/young people at educational tribunals, mental health review tribunals, SENDIST appeals etc. 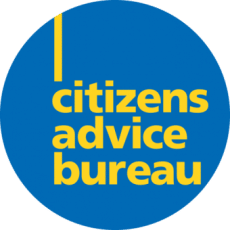 Provide advice on citizens rights and entitlements; covering all welfare issues from employment to benefits, housing to debt. 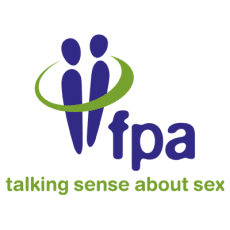 Confidential helpline which offers advice across a range of sexual health issues including pregnancy, contraception, and common sexually transmitted infections. Friendly, confidential drugs advice. Live chat is available every day from 2-6pm. Housing Rights works to improve lives by tackling homelessness and housing problems in Northern Ireland. The operate a daily advice service, helping people in Northern Ireland get to grips with their housing problems. An information, support, befriending and counselling organisation that operates the Northern Ireland Gay & Lesbian Helpline services for the LGBT community as well as the GLYNI Youth organisation. Online information and discussion forum on all legal matters surrounding family life, from the cradle to the grave. Includes information on employment law and family law. Independent advice and information service that helps people with a learning disability and their families to understand their rights and find out about services and activities in their area. Help and advice on child protection issues and to report child protection concerns. Support and guidance to parents on parenting issues. Rehab 4 Addiction offers a free helpline providing advice for people seeking drug and alcohol rehab clinics in the UK. Supports individuals and families across NI who are homeless or at risk of becoming homeless . Essential support for the under 25s. Crisis messenger text service provides free, 24/7 crisis support across the UK. If you’re aged 25 or under, and are experiencing any painful emotion or are in crisis, you can text THEMIX to 85258. 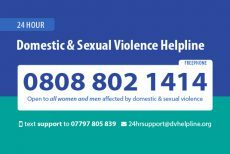 Specialist services for women, children & young people who have experienced domestic and sexual violence.